This topic contains 3 replies, has 2 voices, and was last updated by Guust 2 months, 3 weeks ago. 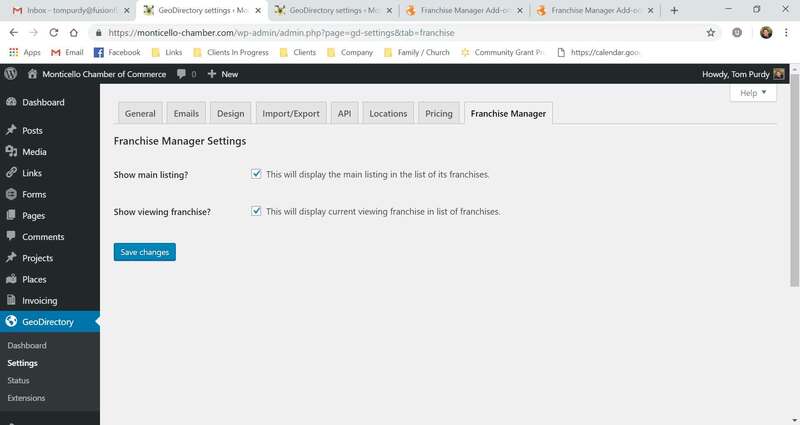 Running Franchise Manage on another site and it works well, but on this new site https://monticello-chamber.com using the latest version of GD (2.0.0.44) and settings are very different, so may be missing something in the older documentation. I cannot find certain settings. In GD > Franchise Settings the “select the Custom Post Type(s) where you want to enable the Franchise features” does not appear. 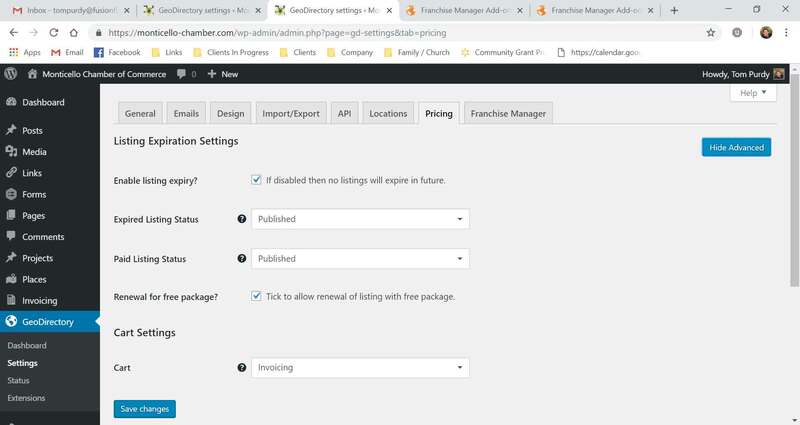 In GeoDirectory – Prices and Payments – Prices (tab) – Edit (choose a package to allow franchises) there is no Enable Franchises. Could you please advise? Thanks! The topic ‘Cannot Enable Franchise’ is closed to new replies, this may be for inactivity, please open a new topic if you have a similar question.